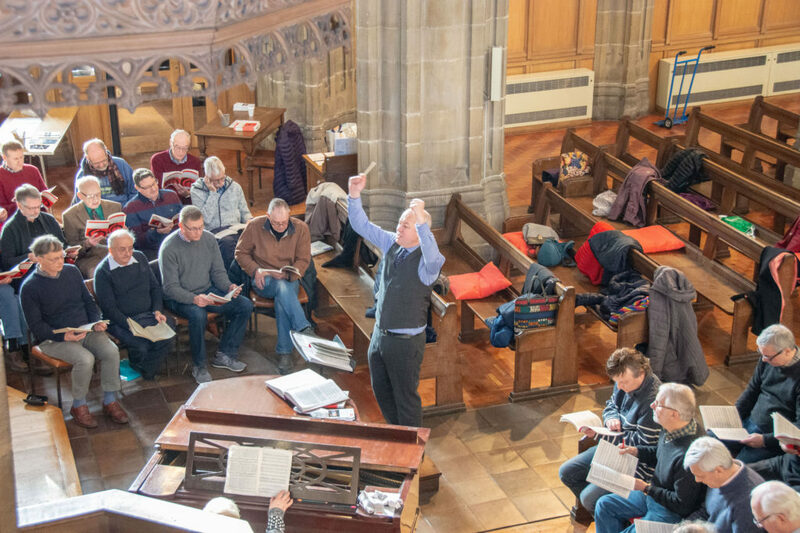 On Saturday February 9th 2019, Bishopwearmouth Choral Society invited fellow choral singers to join them in a singing workshop exploring Joseph Haydn’s Creation. This piece remains the greatest triumph of Haydn’s career and will be performed by the Society on March 30th as part of their 70th Anniversary season and to replicate their first concert in 1949. 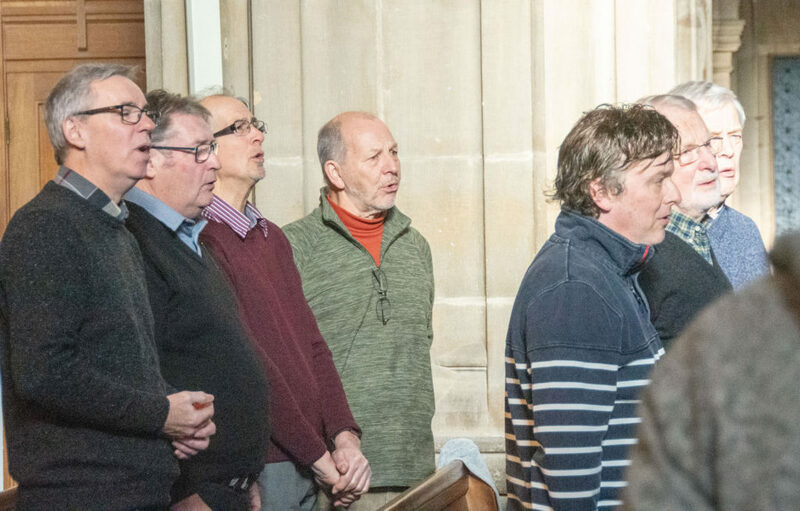 The Singing Day provided an opportunity for some old members and friends to come back and take part, and also to make new friends with singers from other societies, many of whom had come quite a long way to join in the experience. 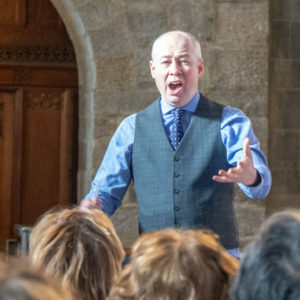 The day was led very enthusiastically by Aidan Oliver, one of the UK’s leading choir directors, whose activities encompass the full range of symphonic, operatic, liturgical and contemporary music. 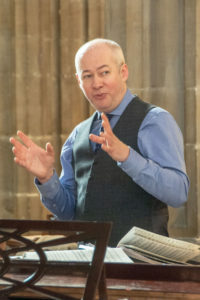 He is the founding director of Philharmonia Voices, the professional choir which collaborates with the Philharmonia Orchestra on many of its most ambitious projects, while as guest chorus master he has worked with some of the UK’s leading choirs including the BBC Symphony Chorus, BBC Singers, Huddersfield Choral Society and the Chorus of English National Opera.He is currently the director of Dulwich Choral Society and Director of Music at St Margaret’s Church, Westminster Abbey, as well as Associate Conductor of the St Endellion Festival in Cornwall. He was recently appointed the new director of the Edinburgh Festival Chorus. 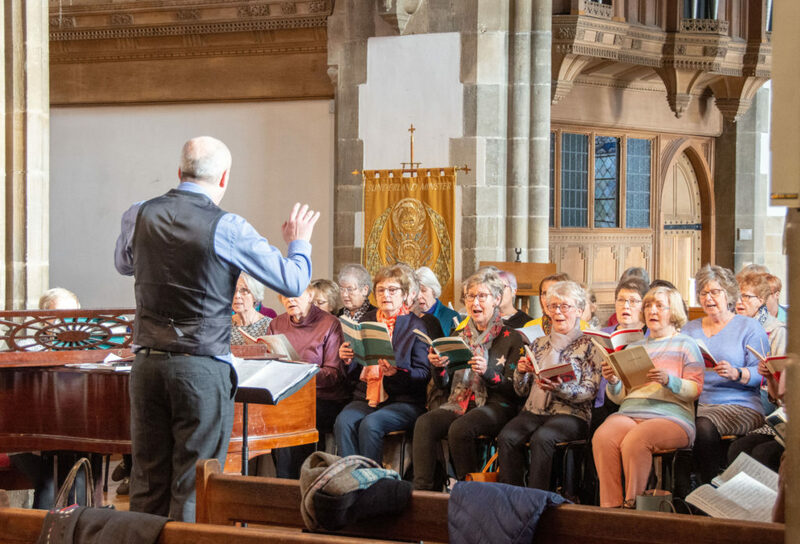 Aidan provided an insight into Haydn’s substantial career and how ‘The Creation’ came into being, alongside rehearsing the singing, and emphasised that it was a joyful work which required joyful singing. Indeed it is his favourite work and by the end of the day many of the singers shared his enthusiasm for it. 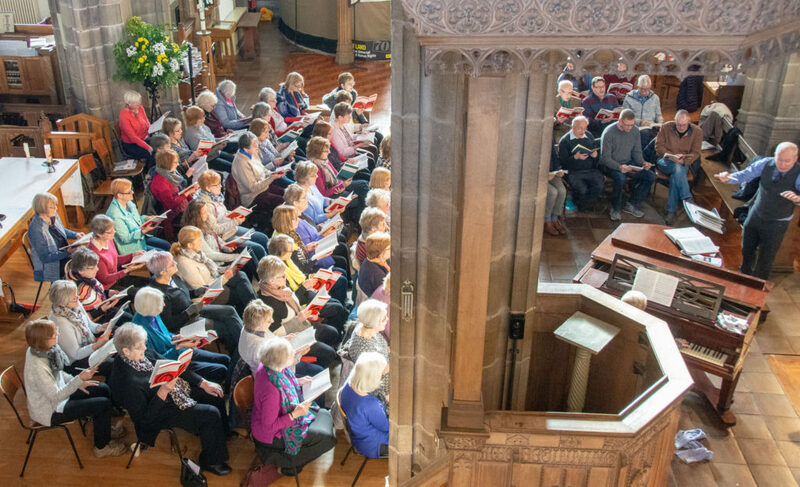 Our thanks to Aidan for a very worthwhile day, to Eileen Bown for her accompaniment and to Sunderland Minster for the soup that fortified the singers at lunchtime. Those who were unable to attend certainly missed something very special. This entry was posted on Sunday, February 10th, 2019 at 12:29 pm	and is filed under News.